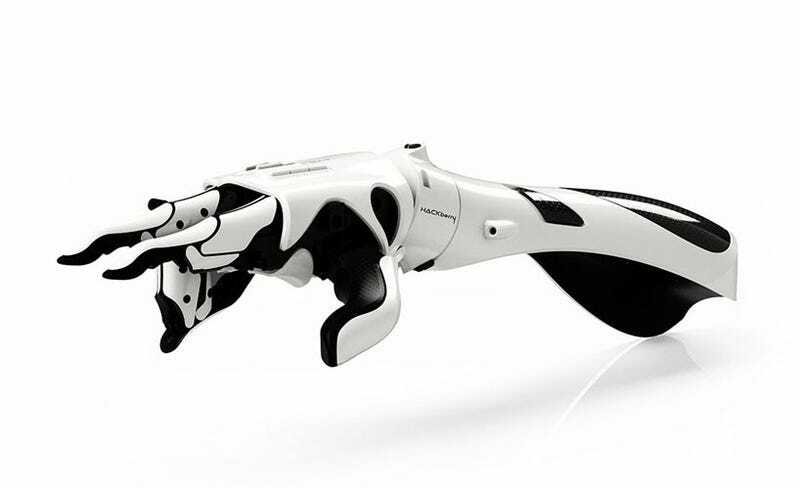 HACKberry, brainchild of the Japanese company exii, wants to become a game changer for those in need of a new arm, and it’s doing a good job convincing us it’s got the chops. The bionic limb, whose blueprints and source code are freely available, has a smartphone for a brain and uses camera batteries to power itself. Most of the device is comprised of 3D printed parts that can be taken apart and swapped out. By encouraging transparency and openness in all aspects of development, exii hopes to garner the attention of the maker community and encourage faster innovation. Among the hand’s more impressive features are its ductile wrist and fingers, which allow the wearer to make unusually expressive movements (Jaime Lannister, your sword-wielding days cometh! ), pick up small objects, leaf through magazines, and even tie shoes. Although the model isn’t yet for sale, the current prototype cost exii roughly $300 USD to produce. Even if a future version hits the market with a price-tag several times higher, it’d still be a steal compared with most cutting-edge prosthetics. It’s also about as futuristically cool looking as can be. Evolution of bionic hands over time, with earlier exii models and their natural counterpart depicted on the right.